Here’s a weird one I’ve been chewing on: What makes a great puzzle game? 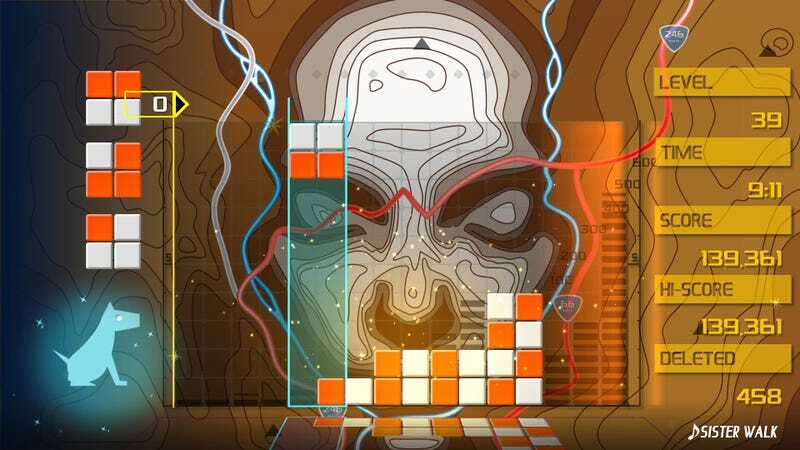 To be clear, I don’t mean narrative puzzle games like Portal or The Witness or Limbo, but rather more pure, abstract puzzlers, à la Tetris or Drop 7 or Bejeweled. My initial answer would be this: 1) The game’s rules are fairly easily learned; 2) Those rules constrict, scaling up to an almost impossible difficulty; and 3) These qualities create a sort of perpetual playability, often one match right after the next. If you fire up Tetris right now, it’ll click in just like it did the first time you played it decades ago, and by the time it’s over you’ll think, “Damn it, I’ve gotta play another round immediately.” Please do not fire up Tetris right now if you have anything to do today. I was never a big Mega Man kid growing up, but I’ve been filling in that blind spot in recent years through emulation and Capcom’s wonderfully done anthologies. At this point, I’ve spent plenty of time with most of the big ones, but this week’s release of the Mega Man X Legacy Collection is giving me a chance to dip into that darker, anime-styled side of the series. I’m staying far away from Legacy Collection 2 and the series’ troubled back half right now. Instead, I’ve gone straight to Mega Man X4, which marked the series’ debut on the original PlayStation. Compared to X3 and later entries, it’s built up a commendable reputation, and it’s easy to see why. By 1997, Capcom was one of the few studios still producing 2D games, and that expertise combined with the ever-growing power of gaming hardware led to some of the most lushly animated sprite-based games ever, like Street Fighter III. X4 doesn’t approach that level, and its grittier art style doesn’t hold up quite as well as the bright and cartoonish Mega Man 8, but it looks fantastic in its own right, especially the multi-layered environments and hulking bosses like Frost Walrus. This is also when the series really started leaning into its melodramatic storylines, and X4 presents its tale with anime cut scenes and some awesome character portraits. Everything I’ve heard about the story here makes it sound solid and surprisingly dark, but for now, as I get a feel for the levels and bosses, I’ve been mashing through all that hammy dialogue. Sacrilege, I know.